Former Macedonian Prime Minister Nikola Gruevski said the Open Society Foundations of the US-Hungarian billionaire George Soros and other foreign actors are responsible for the ongoing political crisis in the country. BELGRADE (Sputnik) — Macedonia needs to hold new snap elections in which one party could clearly prevail over the rest, former Macedonian Prime Minister Nikola Gruevski said Sunday, as the country's parliamentary parties have failed to agree a coalition to form the government. “We need snap elections. It would be better if one party, no matter which, clearly prevails, thus receiving the mandate to form the government and implement reforms. If we are going to get one seat less, we will not demean ourselves like the Social Democratic Union of Macedonia [opposition], who lost the election, but began to celebrate the victory, calling themselves the winners,” Gruevski, the leader of the Internal Macedonian Revolutionary Organization – Democratic Party for Macedonian National Unity (VMRO-DPMNE), said in a statement. A wide coalition of parties is not likely, as previous attempts to do so failed, Gruevski underlined. According to Gruevski, this point has been explained to Johannes Hahn, the EU commissioner for European Neighbourhood Policy and Enlargement Negotiations, who had arrived to Skopje urging the parties to form a wide coalition. 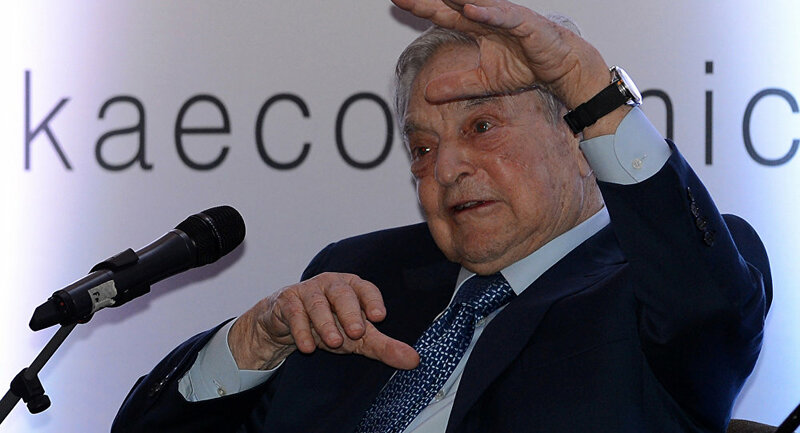 The Open Society Foundations of the US-Hungarian billionaire George Soros and other foreign actors are responsible for the ongoing political crisis in the country, the VMPRO-DPMNE leader stressed. The political crisis in Macedonia began in 2015 as the opposition accused the ruling conservatives of intercepting telephone conversations of some 20,000 people, including police officers, judges, journalists and diplomats. It resulted in the agreement reached last year between the most influential parties in Macedonia, under which Gruevski had to resign and the parliament was dissolved. The Macedonians elected a new parliament in the early election in December 2016, after several cancellations. In the vote, the conservative VMRO-DPMNE party and the opposition party SDSM won 51 and 49 seats, respectively. However, each party had to gather support of minor parties to form a coalition government, as there are 120 seats in the country's legislative body.